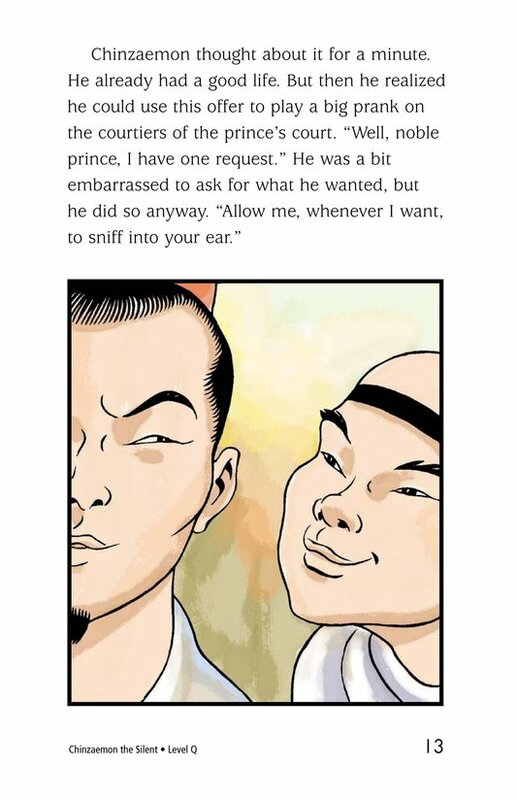 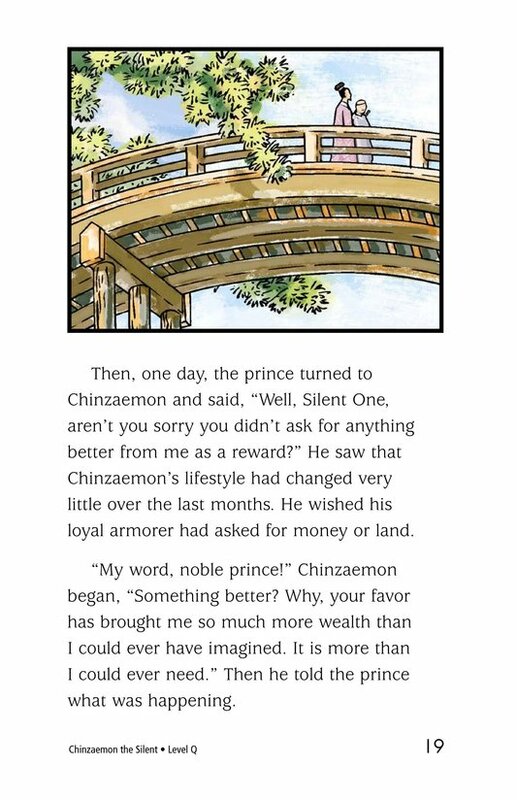 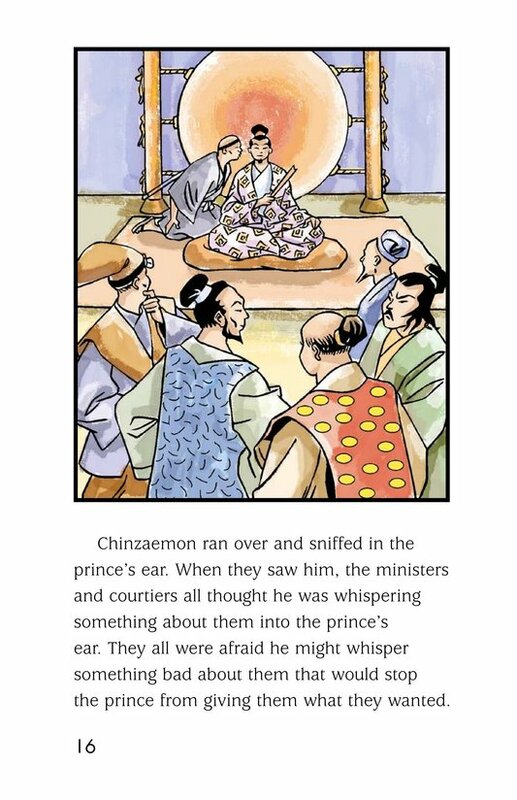 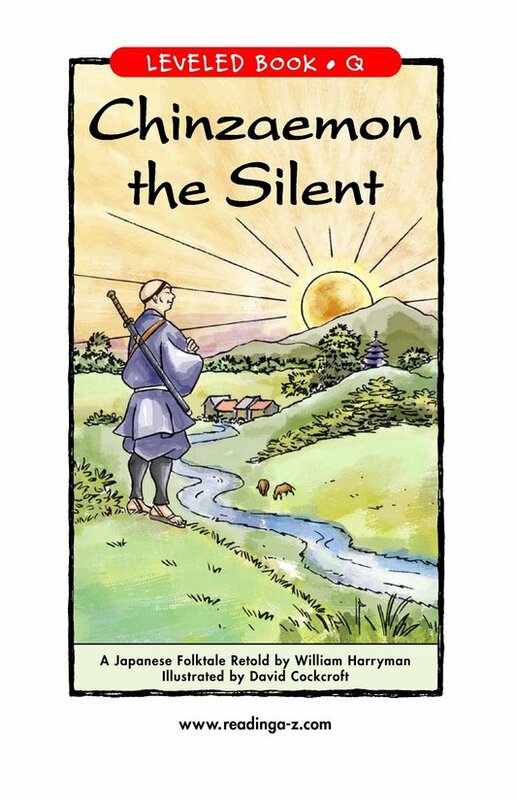 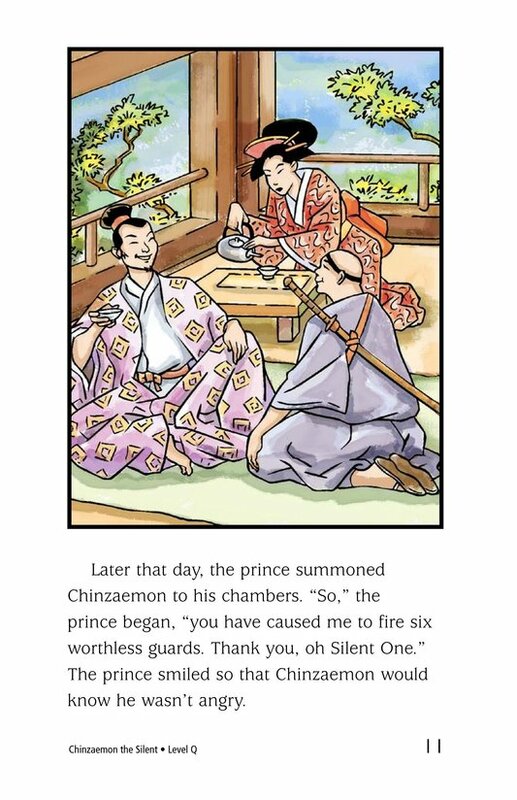 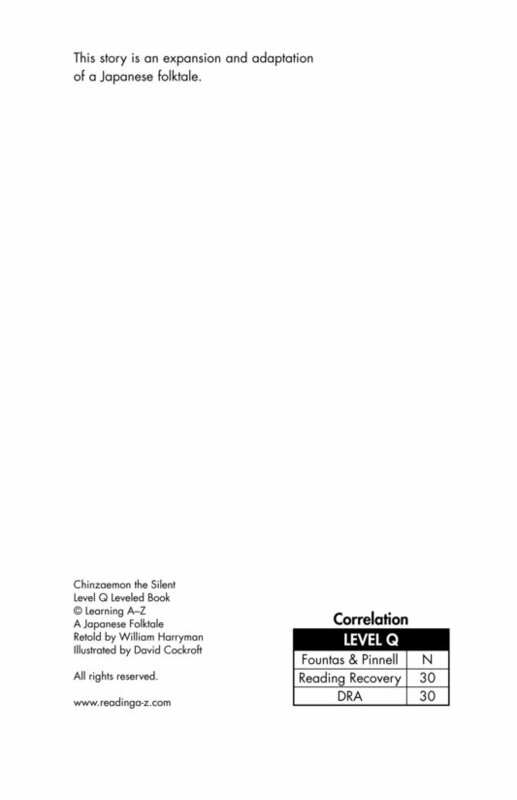 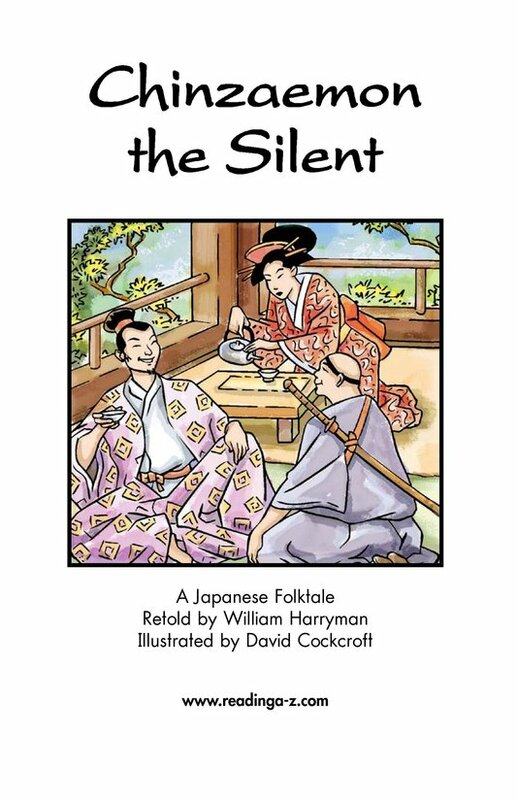 Chinzaemon the Silent is a retelling of a Japanese folktale. 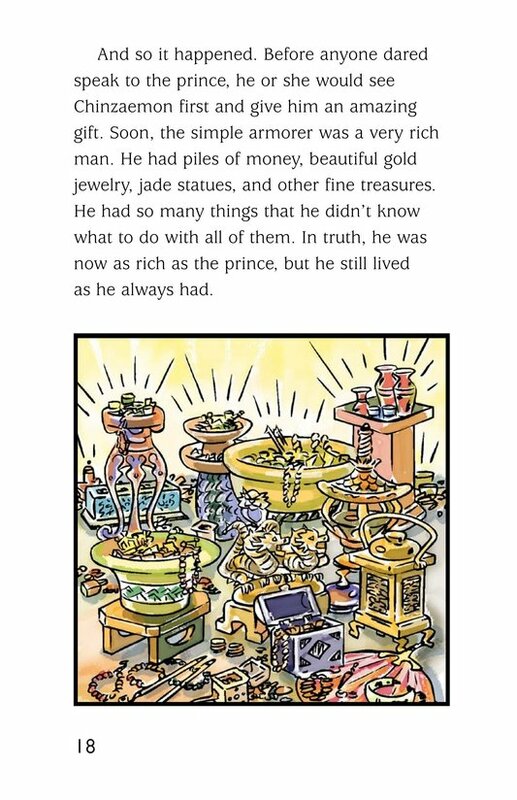 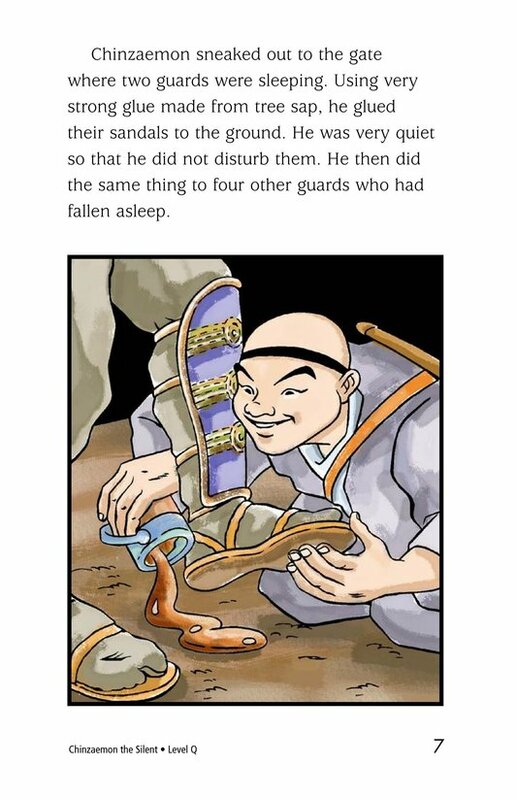 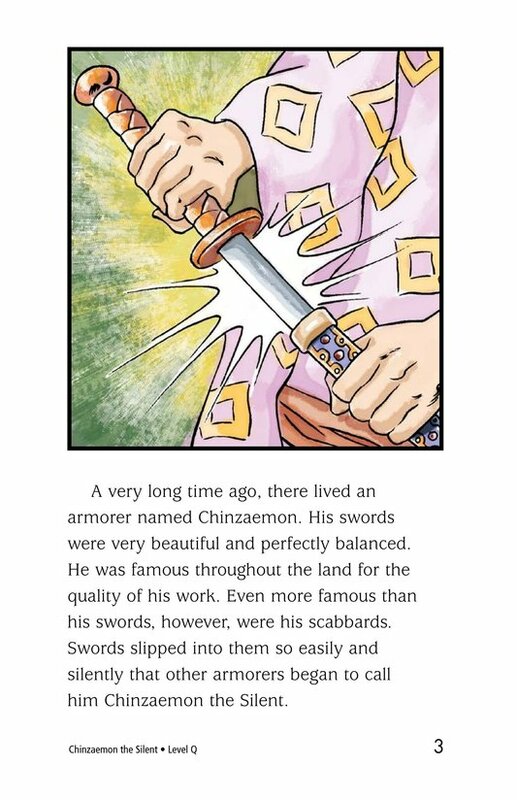 Chinzaemon, famous for his swords and scabbards, is asked by a powerful prince to make weapons for his soldiers and guards. 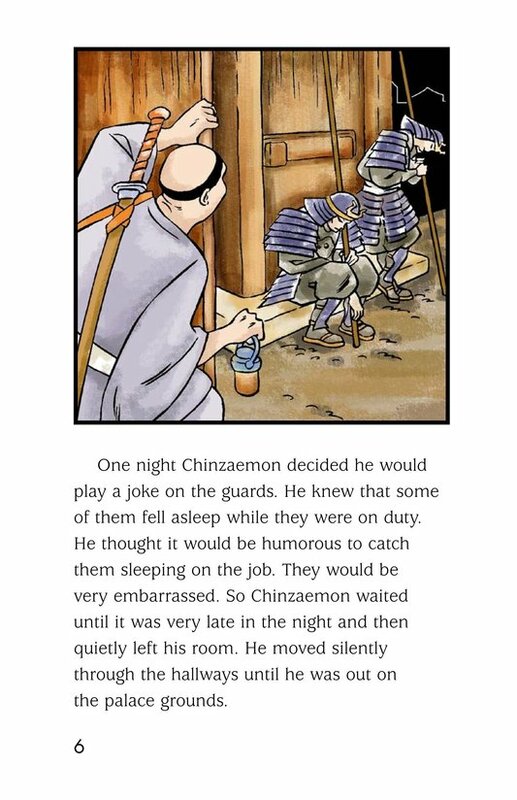 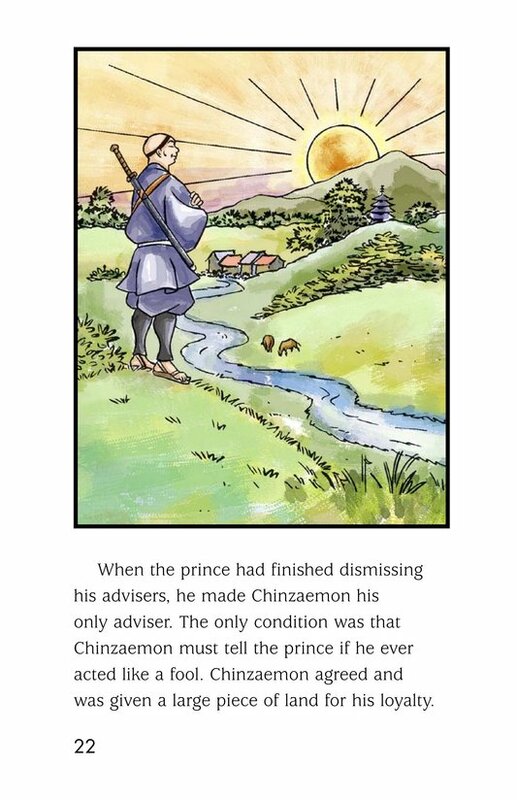 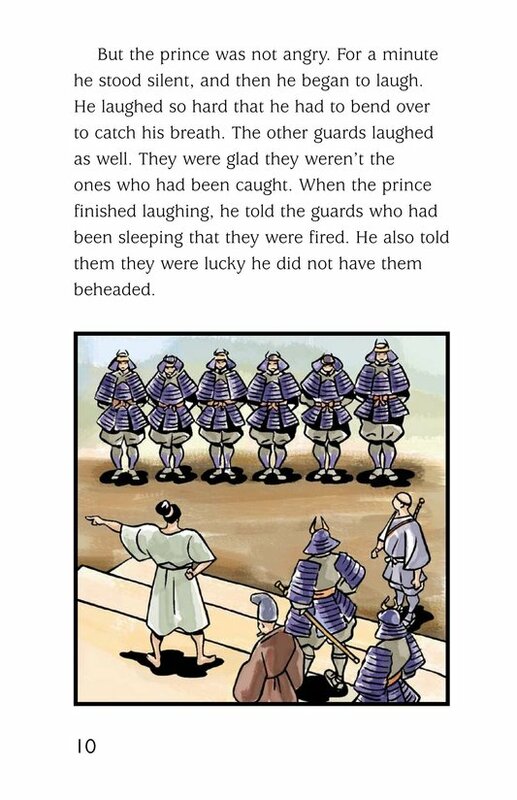 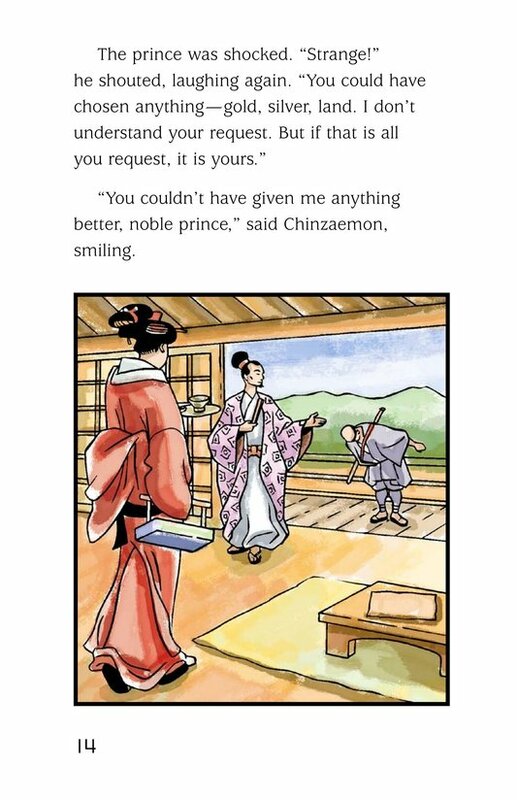 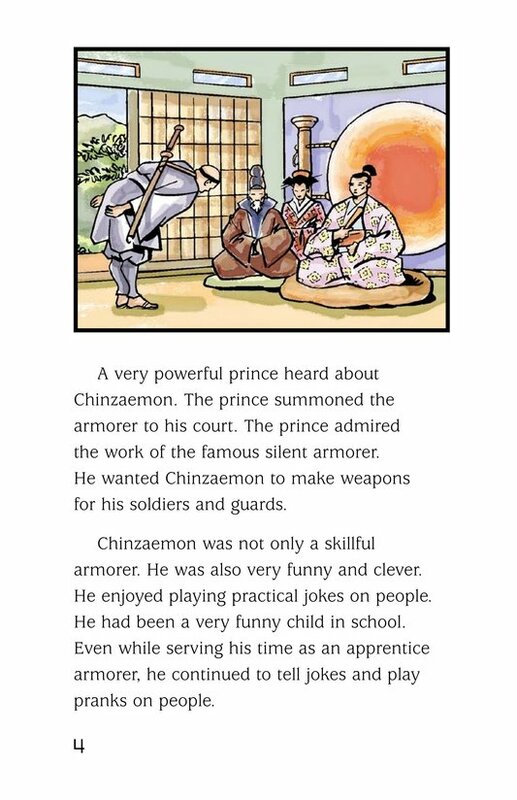 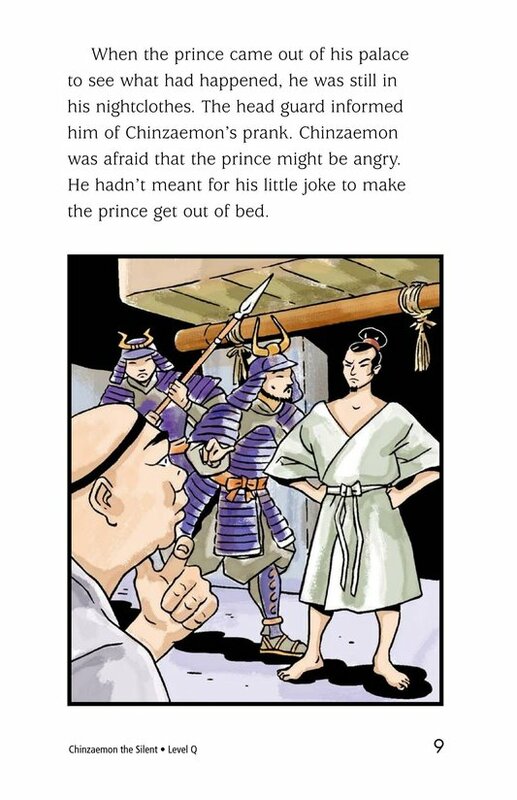 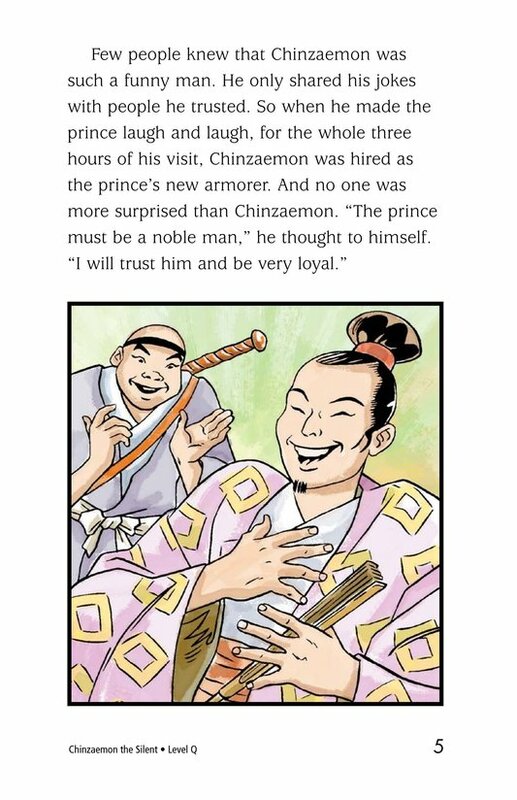 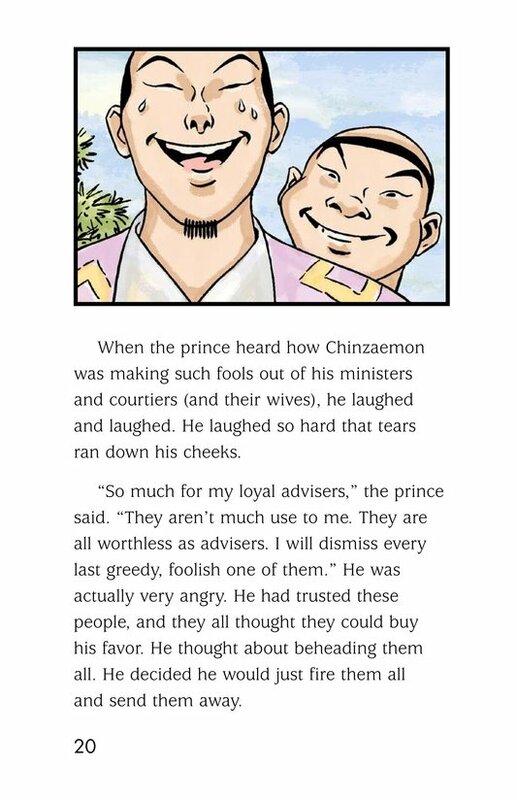 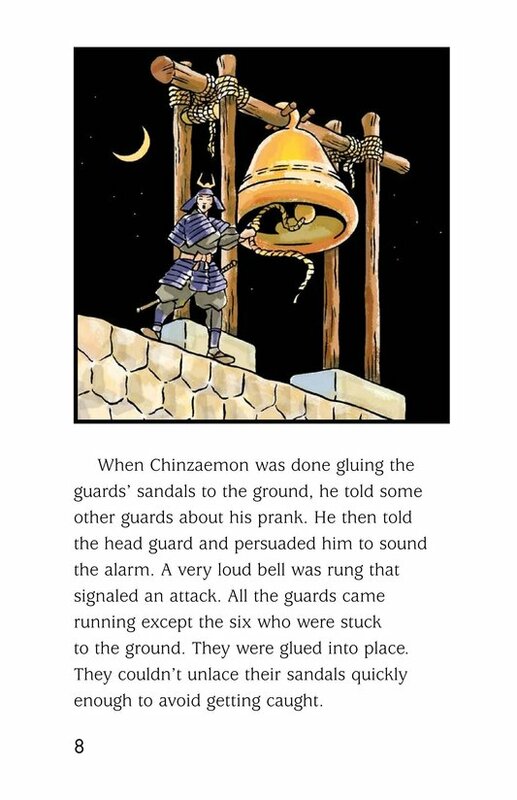 In his new position, Chinzaemon plays jokes on people. 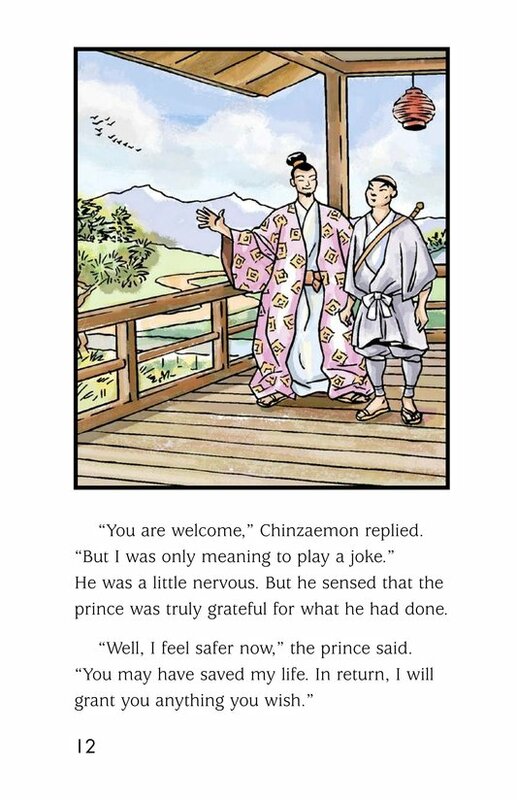 Although most of the jokes seem quite silly, in the end they prove to be very wise. 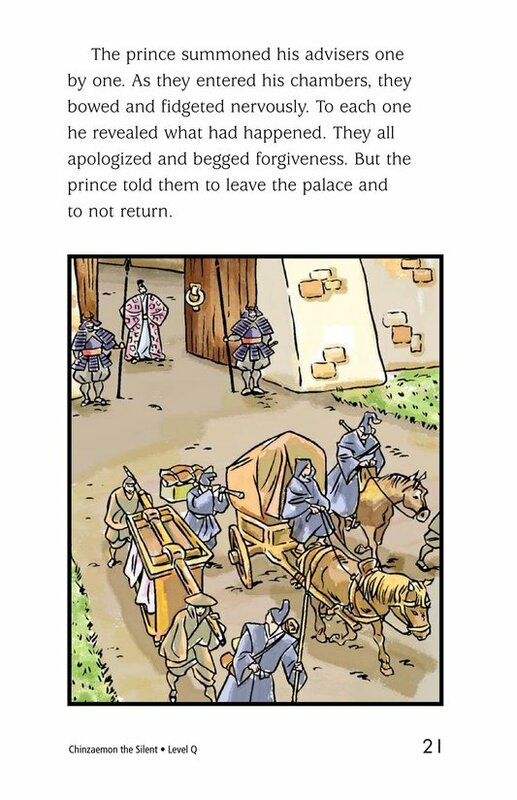 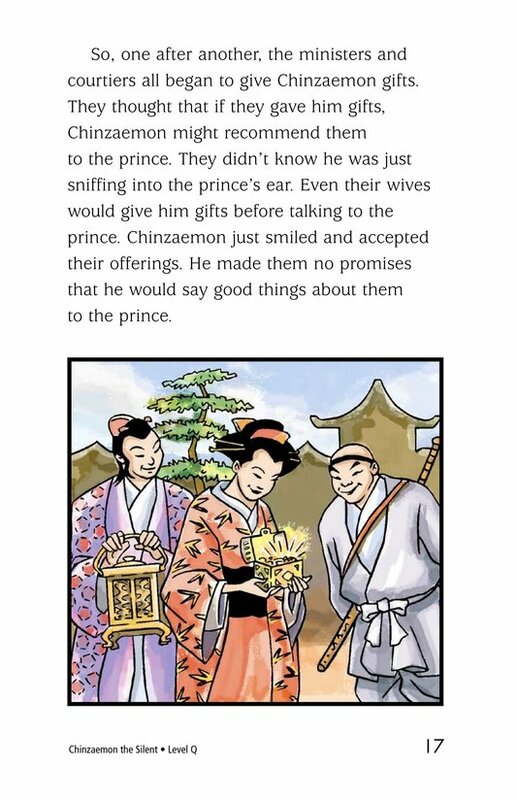 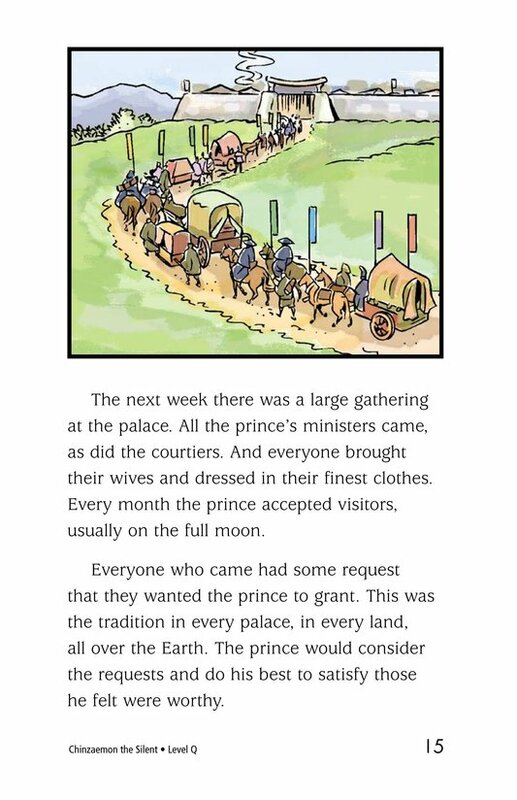 Beautiful, historically accurate illustrations support the text.